Our customers know there are cheaper, inferior products out there. You value our quality and reliability more. 1. You literally get more for your money – in some cases the steel is actually twice as thick! – Ours are a minimum of 5mm. Your customers DO notice this – and will recognise you sell on quality – if you sell on quality! They will also like the Union Jack on the nameplate as they are most likely part of British industry. 2. Sensible corrosion allowances keeps inspectors happy . 3. Pressure systems regs – we can produce documents, design calcs, material certs, weld plans – people are cottoning on to the fact a CE mark alone isn’t all it’s cracked up to be especially when THEIR name is down as the responsible person. 4. Installation is easier because sockets won’t bend due to the slightest bit of unsupported pipe work. 5. Lifting lugs designed to lift the vessel weight (with calcs to prove it if required) – tacking on a bit of bent metal is not a recognised safe lifting practice – it’s big, heavy and your responsibility if it drops and squashes someone. 7. Inspection openings of a sensible size so inspectors can inspect easily (we’ve got nothing to hide). 8. Thicker shell wall prevents ‘dints’ with accidental damage – fork drivers you know who you are! 10. More efficient airflow – bespoke positioned connections can save multiple air flow restricting twists and turns. 11. Pretty colours – Air receivers are a great poster board to advertise your brand (or your clients’) – get a bright gloss paint finish and have your own sticker on it. 12. Environmental – Your money is spent on diesel in exchange for steel thickness. I’m no carbon footprint expert but driving a lorry with a big vessel full of fresh air across Europe and crossing the channel on a boat is probably a bad thing. 13. The chances are you are supplying or maintaining compressors for someone that supplies us too – so it’s good for UK industry as a whole on which we all depend. 14. We speak your language, we enjoy our work and for us you are not just a number. 15. I know we said 10 reasons but we kept thinking of more … and we have a sense of humour! When you require an Air Receiver, Pressure Vessel, Heat Exchanger, Expansion vessel, Surge Vessel, Pulsation dampner, Blowdown Vessel, Flash Vessel, Separator or any vessel cylindrical and pressurised we can manufacture what you require. 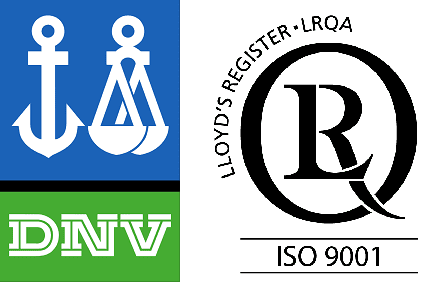 Using Design codes ASME, PD5500, EN13445, BS5169, EN286, Lloyds Class or DNV we can design and manufacture standard stock vessels or bespoke to meet your requirements. 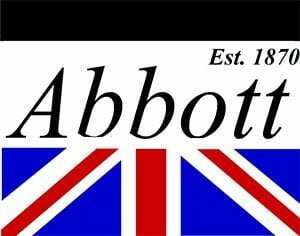 Abbott & Co. continue to manufacture Great British Pressure Vessels at our works in Newark, Nottinghamshire. Made in Britain and delivered to you with a smile! No Borders, no barriers; just Great British Pressure Vessels!